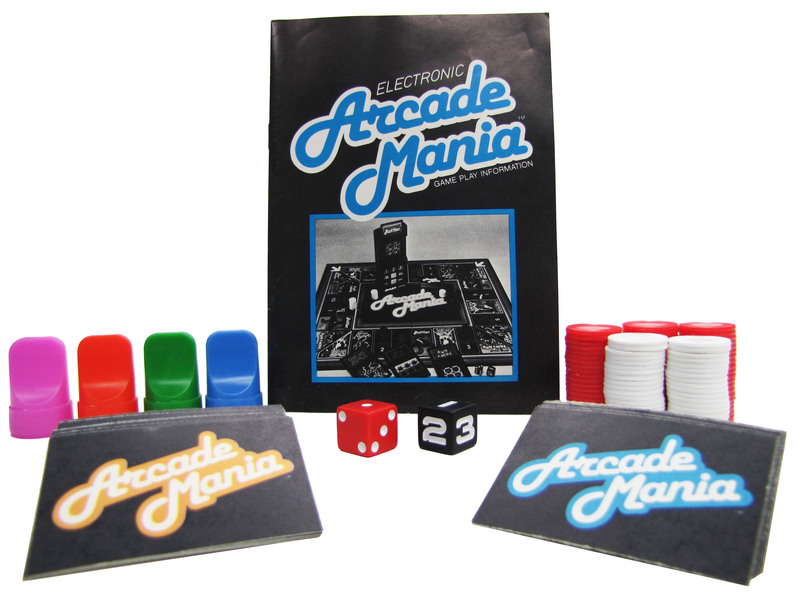 Arcade Mania is a skill and strategy game that features a mini arcade machine that's simple to operate, a challenge to play, and totally portable, so you can play a real honest-to-goodness arcade game away from an arcade! To challenge THE MACHINE, you must react with lightning-fast fingers. 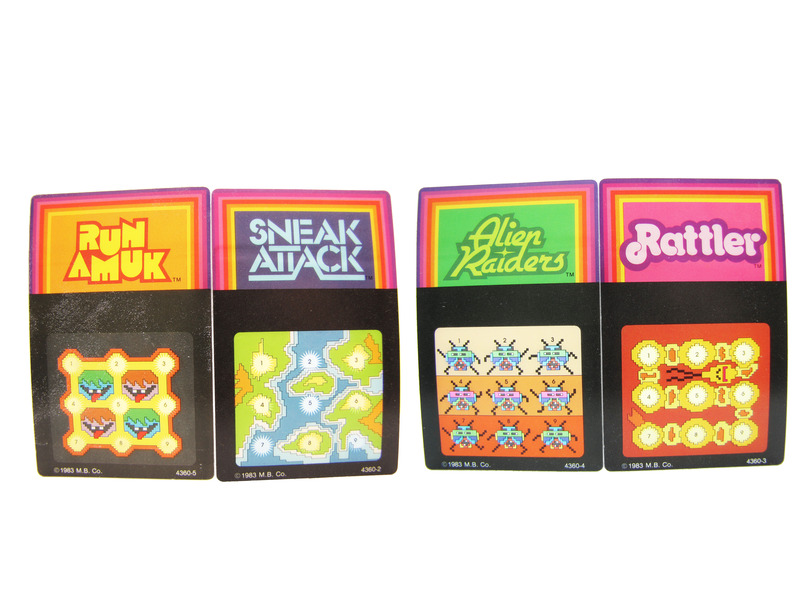 Either to battle alien raiders, to track down a slithering serpent, to blast away at threatening missiles, or to run away from a very hungry monster. 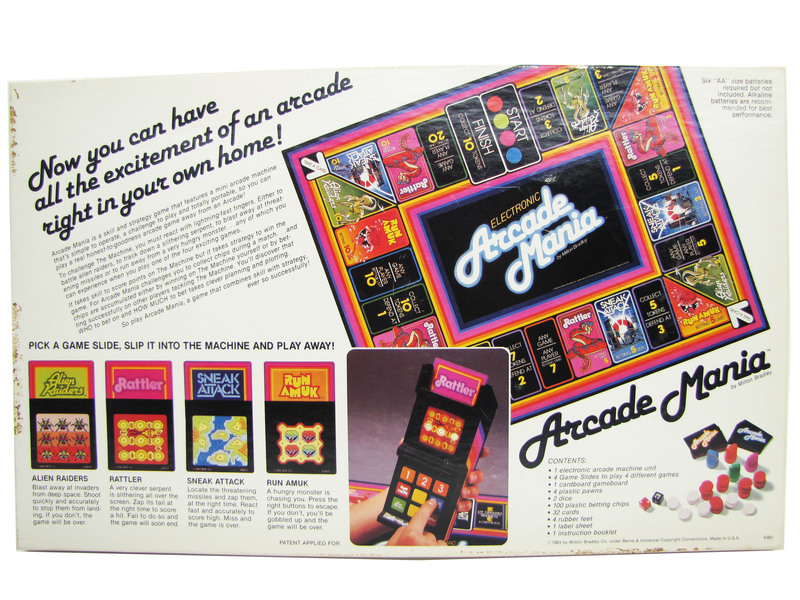 It take skill to score points on THE MACHINE but it takes strategy to win the game. 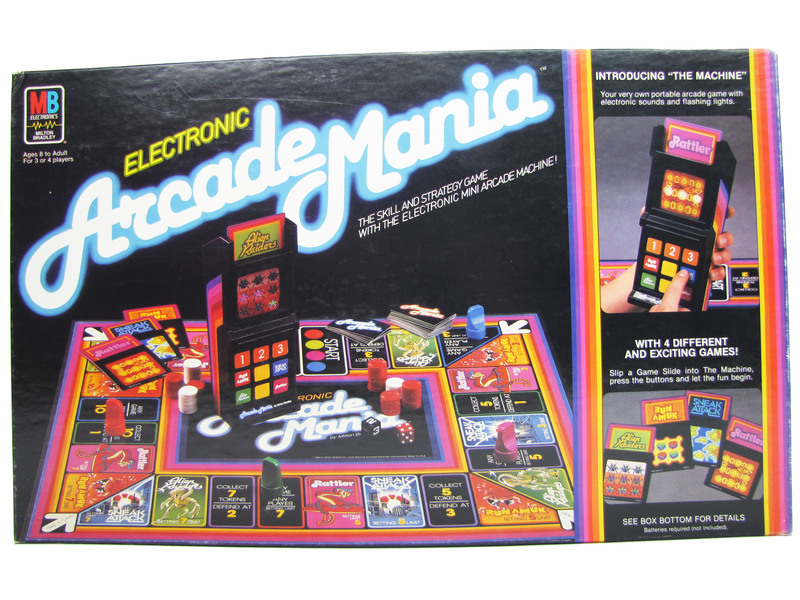 For Arcade Mania challenges you to collect chips during a match... and chips are accumulated either by winning on THE MACHINE yourself or by betting successfully on other players tackling THE MACHINE. You'll discover that WHO to bet on and HOW MUCH to bet takes clever planning and plotting. 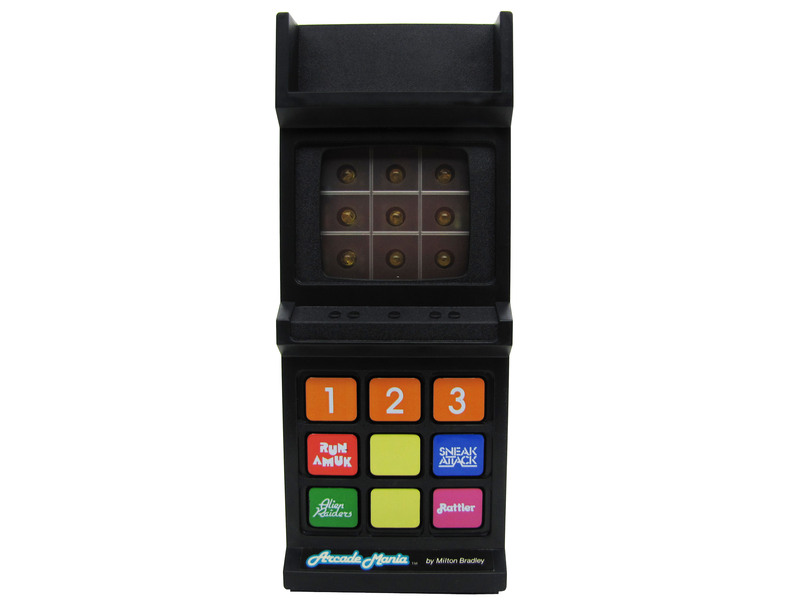 The four arcade games are very simple and are played at three different skill levels, as decided by a throw of a die. 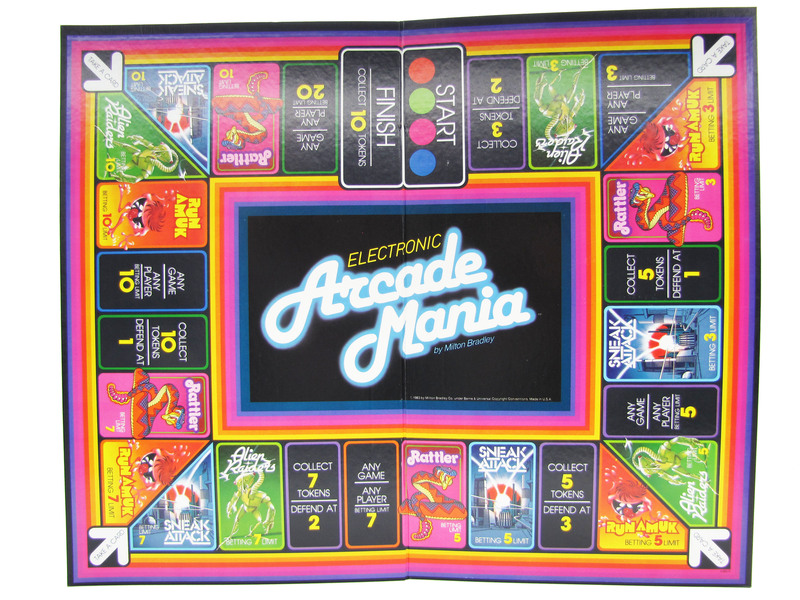 The game features a colorful board (19 1/2 x 24 inches) and THE MACHINE, which requires six AA batteries.